There is nothing worse – okay, there are worse things that can happen to a person, but bear with me – then when you go to buy something, especially a new electronic gadget, and the merchant is out-of-stock! Imagine going into your local carrier’s store to pick up that bright, new shiny smartphone and being told that they are all sold out. That is what is happening at the TELUS stores in Canada when customers are walking in to pick up a new Samsung Galaxy S5. So to help ease some hurtful feelings, TELUS is offering their customers a $50 ‘rain check’ or credit to their accounts once they finally are replenished with stock and the sale is complete. A tipster sent in to our source, a screenshot of the directive from TELUS, listed as ‘High Priority” with a ‘Customer Focus’ on the issue. 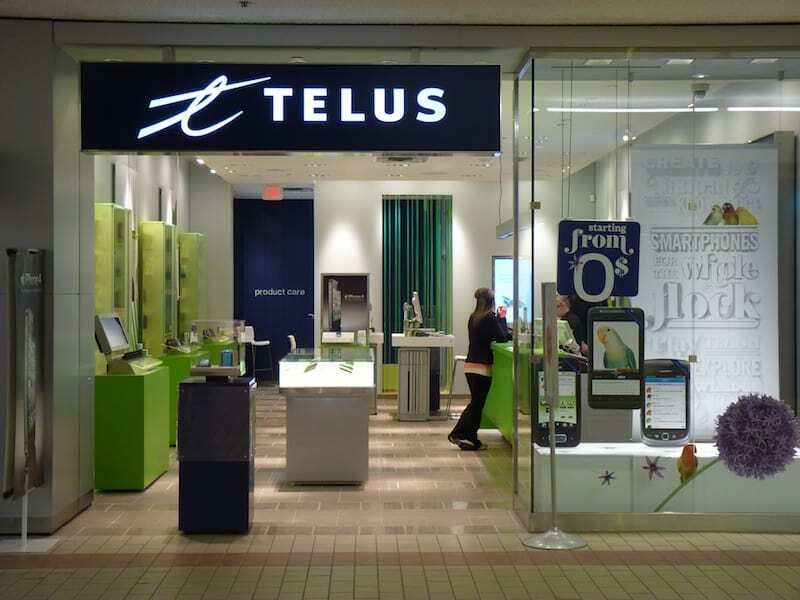 Please let us know on our Google+ Page if you ran into this problem at your local TELUS store – are you going to take the $50 rain check and wait for new stock? Please let us know how long the wait was before you were able to finally get your new Galaxy S5…as always, we would love to hear from you. 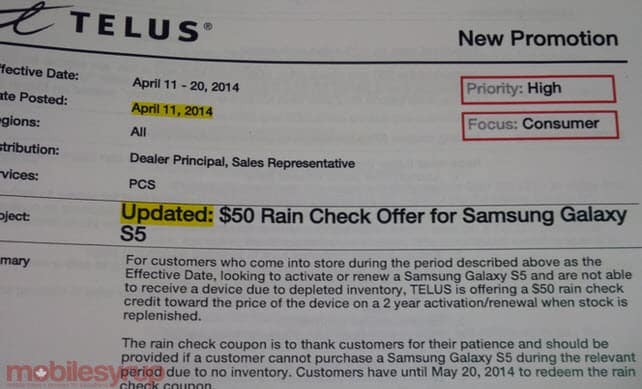 The post TELUS Offering $50 Rain Check to Those Who Can’t Find Samsung Galaxy S5 appeared first on AndroidHeadlines.com |.